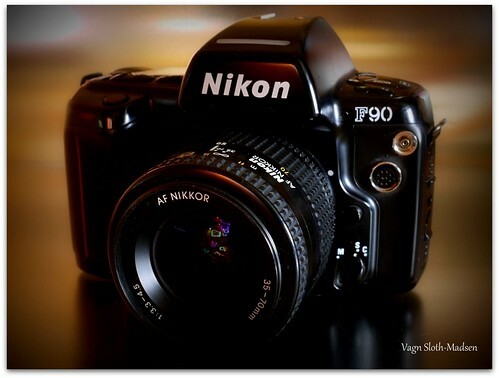 The F90 is a 35mm autofocus SLR released from Nikon in 1992. It is also known as the N90 in America. It has a similar body design to F-801s / N8008s. An improved version was released in 1994 as the F90X or N90s in America. The shutter is an electromagnetically controlled vertical travelling focal-plane shutter with speeds of 30 sec to 1/8000 sec. B mode. Metering modes include, matrix, center-weighted averaging and spot. The exposure meter has a range of -1 to 21 EV for matrix and center-weighted and 3 to 21 for spot mode. Exposure modes include program auto, veri-program, shutter priority, aperture-priority and metered manual exposure mode. A exposure compensation feature is also available with a range of ±5 EV in 1/3 stop. The X-sync in Program and Aperture mode is from 1/60 to 1/250 sec. or in 30 sec to 1/250 in slow sync mode. 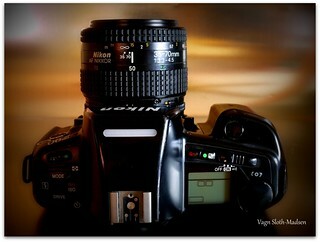 In shutter priority and manual modes the sync is equivalent to the shutter speed, with 1/250 for speeds 1/250 to 1/8000. 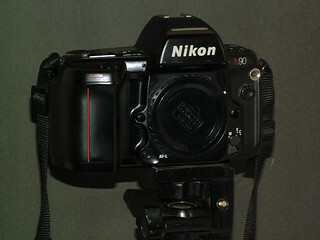 It is capable is using DX coded film with a range of 25 to 5000 ISO or in manual mode of 6 to 6400 ISO. The motorized film transport is able to travel at up to 3.6 fps. 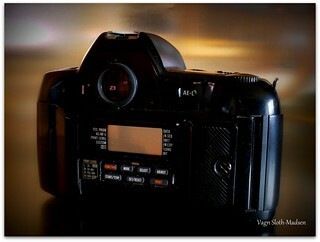 Film loading is automatic and advances to the first frame by pressing the shutter release. The film counter is upwards counting but also counts downwards when rewinding film. It is powered by 4x 1.5 V AA batteries loaded into the handgrip area. This page was last edited on 11 February 2019, at 04:59.